Former Pentagon technology officials are asking Congress to revisit plans announced in June to merge the Pentagon’s chief information officer office with the office of deputy chief management officer, Federal News Radio reported Monday. 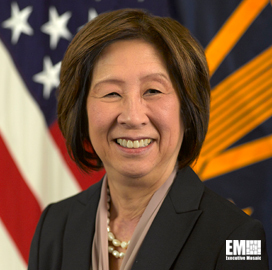 Jason Miller says that in a letter to Congress in July, officials said the proposal would entrust Pentagon CIO Teri Takai with more authority, especially in handling the Pentagon’s joint information environment program. Furthermore, the authors said the CIO position lacks authority since it is no longer confirmed by the Senate. “The department is now considering moving the CIO position back under the undersecretary of Defense for acquisition, technology and logistics, where many are concerned that its ability to provide effective, department-wide leadership and direction needed to effectively meet the information challenge will be further diminished as one more element in an already huge portfolio,” the letter read. The authors of the letter include Duane Andrews and Art Money, both former assistant secretary of Defense for command, control and communications, John Grumes, former Defense CIO and assistant secretary of Defense for network information and integration, Albert Edmonds, former Defense Systems Information Agency director and Arnold Punaro, former Senate Armed Services Committee staff director.